Holy Trinity Barnes is a fine Victorian church designed by Thomas Allom in 1868 and located in the centre of the Castelnau Conservation Area. 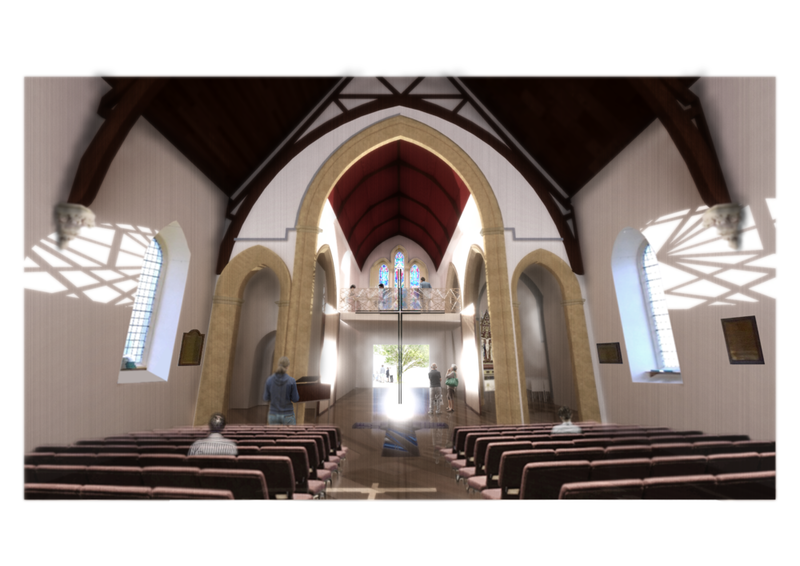 Malcolm Fryer Architects were appointed through a competitive interview process in April 2015 to explore options for the development of the Church to provide for the contemporary needs of the lively and growing congregation. Options explored included an ambitious new west entrance pavilion and narthex galleries, as well as the comprehensive redevelopment of the small church hall to the east. New elements have sought to re-interpret the traditional style and materials of the church in a contemporary manner and the emerging masterplan has been designed to be phased to ensure continuity of worship on the site.